Next 23 Dec. 2015, the Moon will occult the bright star Aldebaran, the most luminous one in Taurus. It will be a spectacular sight and here at Virtual Telescope we will bring the experience to you, live, online! The online, free session is scheduled for 23 Dec. 2015, starting at 17:45 UT. 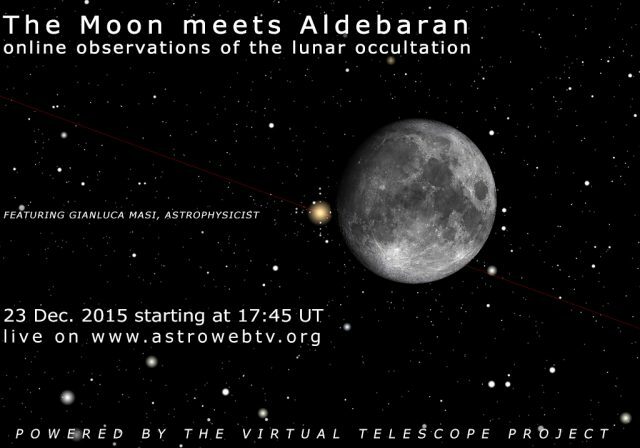 Next story 23 Dec. 2015, the Moon occults Aldebaran: how to see it?